Sony has been on a roll this generation and so far, this year has also been successful for them. This month will see the release of their next big exclusive, Detroit: Become Human. And once that’s out of the way, they’ll have a big E3 to look forward to and telling gamers why they should invest in a PlayStation 4 if they haven’t already. So what’s waiting for us all at Sony’s E3? For the past 4 years, fans of Sucker Punch Productions wondered what was next for the studio, would they make another Infamous game? Turns out, no, they did not. Instead, they’re making a game set in Feudal Japan. While not much is known about the gameplay, based on the brief glimpses seen at the end of the trailer, I’d personally wager that its still along the lines of Infamous Second Son or Middle Earth: Shadow of Mordor. We’ll likely learn a lot more at this years E3. Odds: 100% at E3, 75/50 on Sony’s stage. At The Game Awards 2017, From Software teased their next game. However, the game has no official name. Instead, we were given a simple phrase: Shadows Die Twice. Debates have raged for the past 5 months as to what exactly is being teased. Bloodborne fans hold out hope that it’s Bloodborne 2, despite the fact that the director has come right out and said it’s not, while others believe it’s a new Tenchu installment and that the line “Shadows Die Twice” is a reference to character Rikimaru. And considering the setting of Tenchu is Feudal Japan... I’m saying I also believe it’s Tenchu. A supposed leaker on ResetEra, however, suggested that it was actually a spiritual successor to Kuon, a horror game. Bloodborne 2 is out of the question, so really the last two are the candidates. As for whether or not it will be on Sony’s stage, as From Software’s games aren’t always exclusives, my basis for putting it here lies solely with the fact that Sony is a Japanese publisher, the PlayStation is a Japanese console, and Xbox has an extremely small footprint in Japan. Microsoft may want more Japanese representation on their E3 stage, and they did get Dark Souls III way back at the start of the generation, but things have changed now, and so in my opinion the odds are higher that it’s on Sony’s stage if it is a multiplatform title. Naughty Dog has already confirmed that The Last of Us Part II will appear at E3. It’s a game that doesn’t really need any introduction and the hype for it is through the roof. Of course, that also means expectations are high. But I’m sure Naughty Dog can deliver. Marvel’s Spider-Man was a big win for Sony. Marvel is huge right now, so managing to get an exclusive game, of any Marvel character, is a big deal. Insomniac’s Spider-Man game looks amazing and the story has me interested. Since the game is releasing in September, E3 is the best place to give gamers what they want: A nice juicy trailer to set the stage. Kojima’s appearances at Sony events has been pretty consistent the last two years, so I’m confident(As I’m sure a lot of you are as well) that Death Stranding will again be at this years E3. Beyond that however, I’m about as confused about what else to say as I am when I watch one of these trailers. Days Gone is one of those exclusives that, graphically, looks great. Story-wise, it seems interesting. But to the casual observer, looks like yet another take on the zombie genre. However, the game is getting a full blow out this month as the cover story for GameInformer. So it stands to reason that they’re trying to get people pumped for this game, and the perfect end cap for this month of coverage is a trailer at E3. Considering the game is releasing this year, it would make sense for it to be at Sony’s E3 conference. However, Sony likely has a lot of games to show and only so much time to do it. Depending on when it’s releasing, Ace Combat will either be at the show or it will appear at a later event. Either way, I’m actually excited for this one. Being the second time this game is getting remastered, it may not be the greatest title to make a part of Sony’s big E3 presser. It’s not even on the same level as Shadow of the Colossus. However, due to its inclusion of VR, and Sony still very much wanting to sell players on the PSVR, it could be used as a demo of what’s to come for PSVR owners. 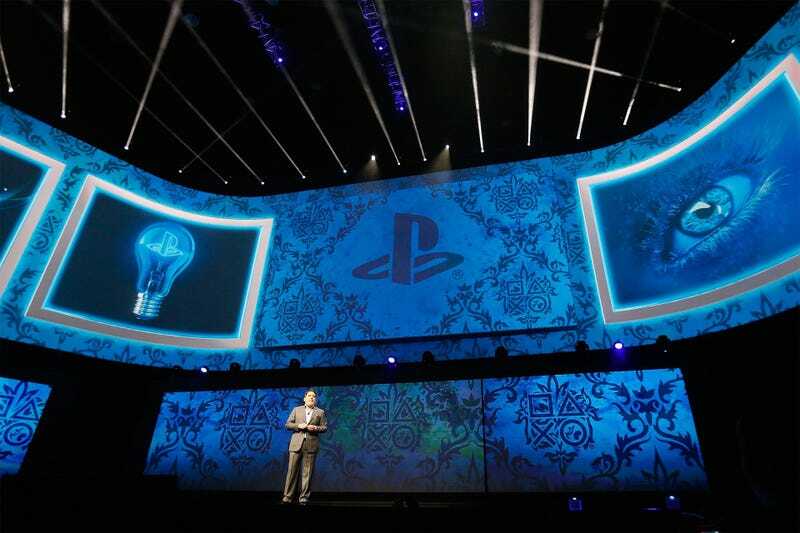 Shenmue III was the second of two games that turned Sony’s 2015 press conference into the year of dreams. However, the developers have been somewhat quiet since then and the game missed its first projected release date(Which is not unexpected of a Kickstarter title. ), with its release year being updated to 2018. The pressure is on for the developers to deliver, and the best time for them to really show off the game will be at E3 this year. Of course, there’s always a chance it doesn’t show. This is Shenmue II we’re talking about here. Status: Unannounced, but teased & rumored. Devil May Cry 4 released WAY back in 2008. And for a while, that was the last game. Then Capcom decided to reboot it with a more western edge, and fans were divided. Now it would seem that in the battle between DmC Definitive Edition and Devil May Cry 4 Special Edition, which were used to gauge fan interest in a continuation of either, Devil May Cry 4 won and as a result Devil May Cry 5 is on the horizon. If it shows up at any E3 press conference, it’ll be Sony, mark my words. MediEvil is a classic PS1 game, so the news that it was being remade for PS4 filled me, and likely many others, with joy. If they were going to show it off again, E3 would be the time to do so. Rumors suggest that MediEvil II could also be part of the package. Rockstar bows to no one, they do their own thing. However, if any game of theirs shows up at E3, it’s on either Microsoft or Sony’s stage. Since Sony has a marketing deal for the third installment in the Red Dead series, it would make the most sense that if Red Dead Redemption II were to show up at E3, it’ll be on Sony’s stage. Just don’t get your hopes up. Konami isn’t anyone’s favorite developer/publisher these days. However, that does not change the fact that they still have the rights to many a great franchise. After 2013, it was anyone’s guess as to whether or not Zone of the Enders would ever live again. The HD Collection on Xbox 360 & PS3 didn’t sell as well as they had hoped(partly because of all the technical problems. ), leading to the cancellation of the in development third installment. Kojima, for what it was worth, said that after Metal Gear Solid V was completed he would take another look at Zone of the Enders and reevaluate it. However, as should be obvious, he is no longer in a position to do so. Konami is, and the first thing they’re doing is remastering the second game for PS4 and PC. Clearly, they see at least some value in the IP. This remaster could very well be their way of testing the waters for a Zone of the Enders 3 or even a reboot. After all, Kojima was the producer of the game, not the director, and the director is still with Konami. There is a very slim chance that they’ve already been developing the game and plan to release it regardless of if the remaster sells well(It was originally scheduled to be released this past Spring, but was delayed.). Only time will tell if this ever becomes a thing, and I hope it does. Look, Naughty Dog currently has a free team. Uncharted is done for now. And the voice actor for Jak in Jak & Daxter: The Lost Frontier(Technically Jak 4, but Naughty Dog didn’t like that it was technically the finale, said it wasn’t a good send-off.) was doing mo-cap for an unnamed project, with someone pointing out that the mo-cap studio he was in looked oddly like the one Naughty Dog uses. I’m not as crazy as I may seem here. Perhaps the big ND finally found a good way to bring Jak back, even if it’s just one last hurrah.